2017 newest xiaomi body fat rate is the standard to determine fat and thin, one can help you to detect 10 body data accurately. so that you will arrange exercise to keep a good state, lead a smart life from now on. ABS material all-in-one body, comprehensive and durable. 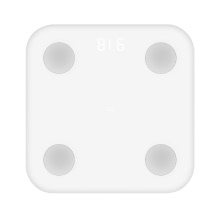 Simple and slim, accurate physical data safe and stable. Hidden led display, rounded corners, large mats, bring you a more comfortable and safe experience. Arrange Exercise to Keep a Good State. Track your health information about body so that you will arrange exercise to keep a good state. Data uploaded automatically with xiaomi app. Support Support 16-people-measurement with automatic identification.